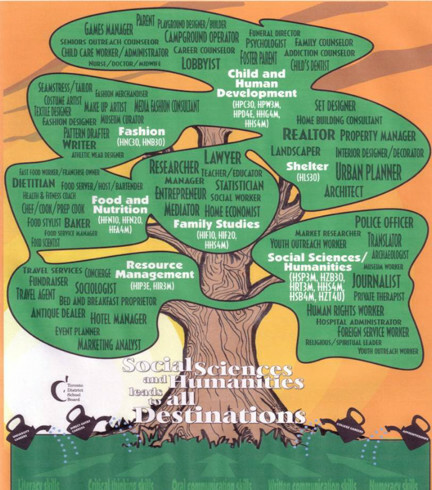 Family Studies is an interdisciplinary subject area taught within Social Science and Humanities. 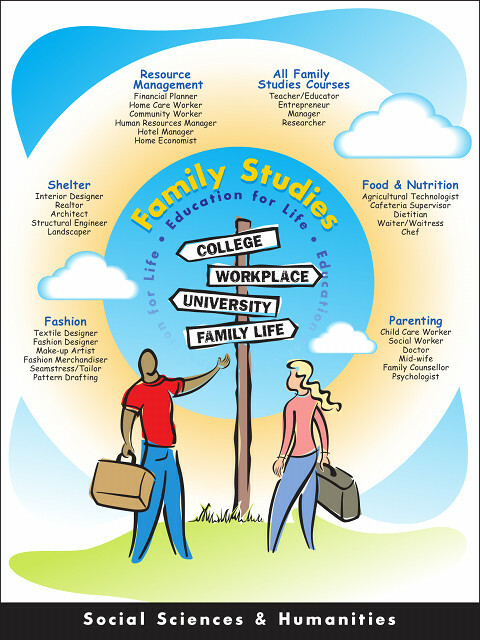 Family Studies prepares students for real world relationships and life experiences as well as for future studies at college and university. Social Science research skills are introduced and developed throughout the curriculum and opportunities for integrating technology are embedded throughout all the courses. Bethune’s Family Studies teachers emphasize cooperative learning strategies to prepare students for the interdependent nature of the work world by allowing them the opportunity to develop the social skills and work ethics needed for the future. This grade 9 course explores the challenges faced by all people: how to meet basic needs, how to relate to others (relationships, communication, peer pressure and conflict resolution), how to manage resources, and how to become responsible members of society. Students will acquire the knowledge and skills that are needed to make the transition to adulthood. Teachers will instruct students in developing interpersonal, decision-making and practical skills related to daily life. They will explore the functioning of families and the diversities found among families and within society. Application of information will be through food labs and construction of organization boards. Click here for an information brochure about this course. This grade 10 course explores the factors that affect attitudes and decisions about food, examines current issues of body image and food marketing, and is grounded in the scientific study of nutrition. Students will learn how to make informed food choices and develop various skill sets through the hands-on component of cooperative cooking. To broaden their understanding of cultural foods, students will have the opportunity to experience a Food Tour of several Toronto communities. This grade 11 course explores what clothing communicates about the wearer and how it becomes a creative and entrepreneurial outlet through the design and production processes. Students learn, through practical experiences, about the nature of fashion design; the characteristics of fibres and fabrics; the construction, production, and marketing of clothing; and how to plan and care for a wardrobe that is appropriate for an individual’s appearance, activities, employment, and lifestyle. They will explore the evolution of fashion and its relationship to society, culture, and individual psychology. Students will gain experience in clothing construction by completing two sewing projects. This grade 11 course focuses on the skills and knowledge needed to promote the positive and healthy nurturing of children, with particular emphasis on the critical importance of the early years to human development. Students will learn how to meet the developmental needs of young children, communicate, and discipline effectively, and guide early behaviour. They will look at the factors involved in the decision to become a parent and gain practical experience through the opportunity to care for a ‘RealCare Baby’ infant simulator (see link below). This grade 12 course will enhance students' holistic understanding of food and nutrition. Students will explore the importance of balancing their health continuum, dietary needs/ the science of nutrition and global issues. This theoretical information will be supported by the practical experience of completing a computerized personal diet analysis and hands-on food preparation. Students develop research skills as they question and investigate past and current issues related to nutrition. This course will cover similar units of study as the above course (HFA4U1) with more practical applications. This grade 12 course offers a multidisciplinary approach (highlighting psychological theories) to the study of human development throughout the life cycle. The course emphasis is on enhancing growth and development. Students will examine how early brain and child development are linked to lifelong learning, health and well-being. They will also analyze the impact of family, school, media and friends on the lives of children. Students will apply their knowledge and gain human-relationship skills through practical experience assisting grade 9 students at Bethune. This course also refines students’ skills in researching and investigating issues related to human growth and development. This grade 12 course applies current theories and research from the disciplines of anthropology, psychology and sociology to the study of individual development, family behaviour, intimate and parent-child relationships. Students will learn to conduct their own research study and evaluate existing research about individuals and families to understand ways in which families interact within our society. The Ministry of Education provides detailed course descriptions.